The Scott Bader Award Presentation Ceremony was held on April 4, 2016 at The Shangri-la Hotel, Dubai, UAE. 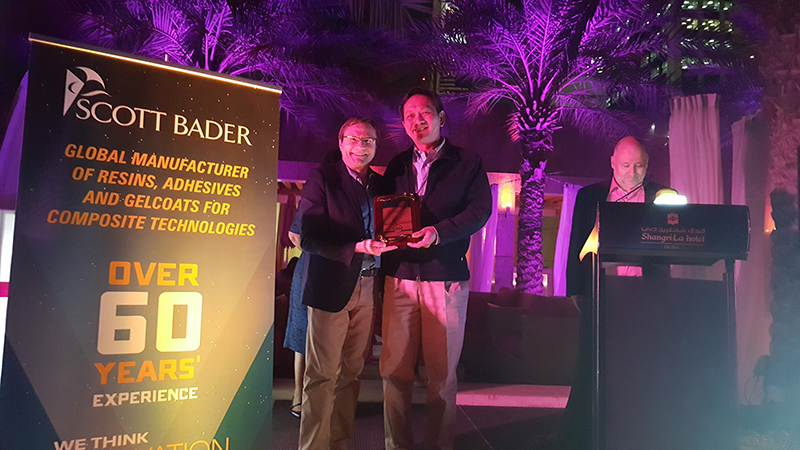 Mr. Jean-Claude Pierre, Group Chief Executive of Scott Bader, presented the award to Mr. Prasonk Aramwittaya, Board of Director of Behn Meyer Group and Managing Director of Behn Meyer Thailand, for achievements in two categories. 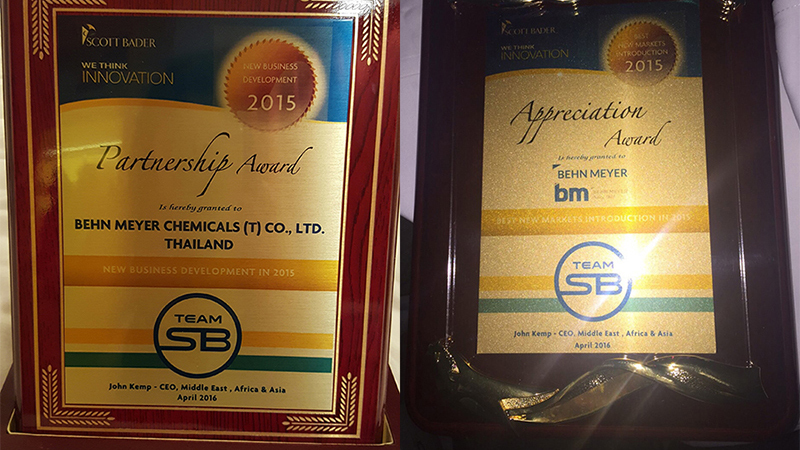 “Best New Market Introduction in 2015” was awarded to Behn Meyer Group and “New Business Development in 2015” to Behn Meyer Thailand. 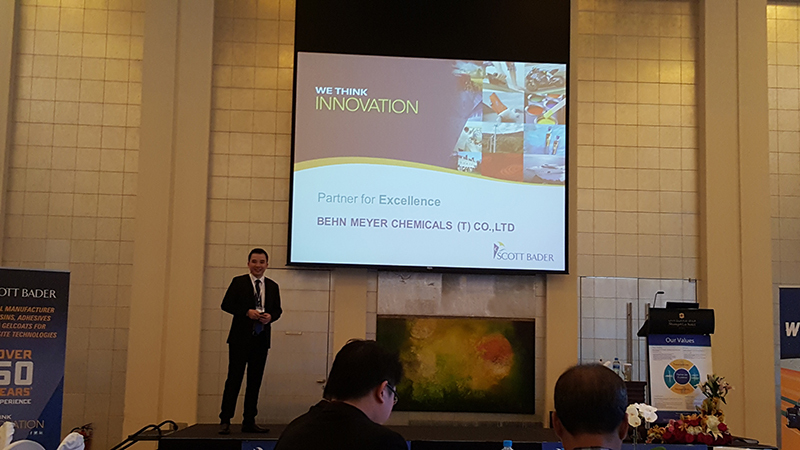 Earlier in the day at this special occasion, more than 20 representatives from various countries attended Scott Bader’s agent meeting to receive updates on product and new technology and also to share success stories. Mr. Teera Lohamanop represented BM Thailand to share his team’s success story with all the participants. *Scott Bader is a global chemical company employing 600 people worldwide with manufacturing sites in Europe, Middle East, South Africa, Canada and India. Scott Bader manufacture, sell and distribute a wide range of synthetic resins and polymers to many different markets and have built a reputation for innovation, quality and excellent customer service.